I ordered 10 samples and 1 petit size. 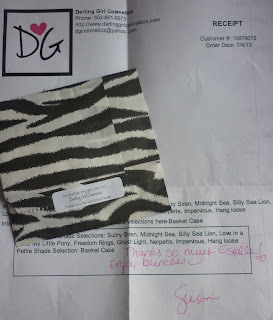 I chose to receive the petit size in a baggie to keep postage costs down - I think its great that she offers this as international shipping can get quite expensive. 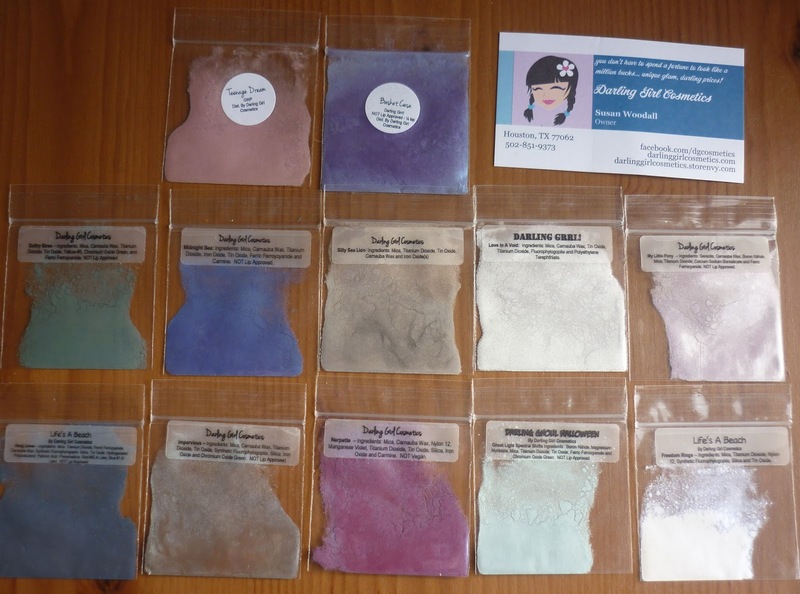 I received 2 more samples and a 'Gift with purchase' as freebies! 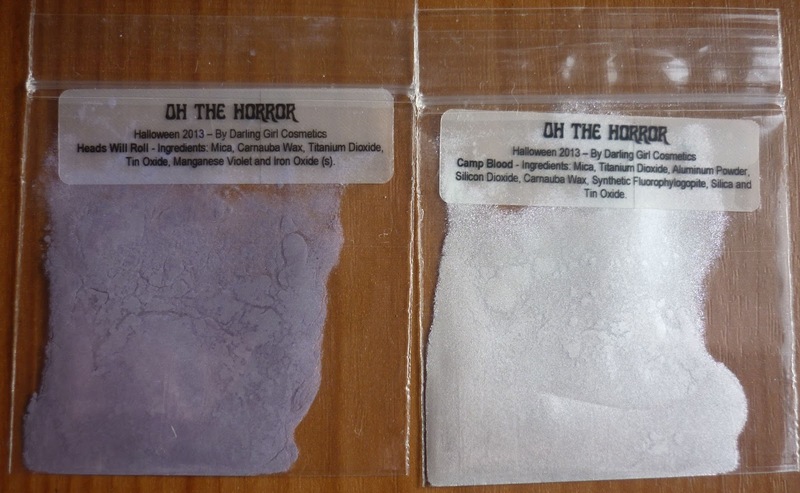 I was really excited to fing that my two bonus samples were 2 of the yet-to-be-released Halloween shades for this year! 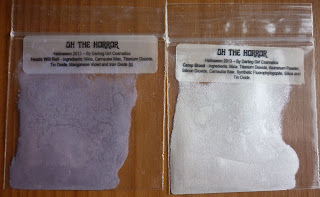 I received 'Heads Will Roll' and 'Camp Blood', and the collection is called 'Oh The Horror'. I was really frustrated trying to take pics of these! They are so much prettier than they look in the swatches, especially when you get them out in the sun, I've tried to take pics in different lighting (below) but the sparkle freaks my camera out a bit. 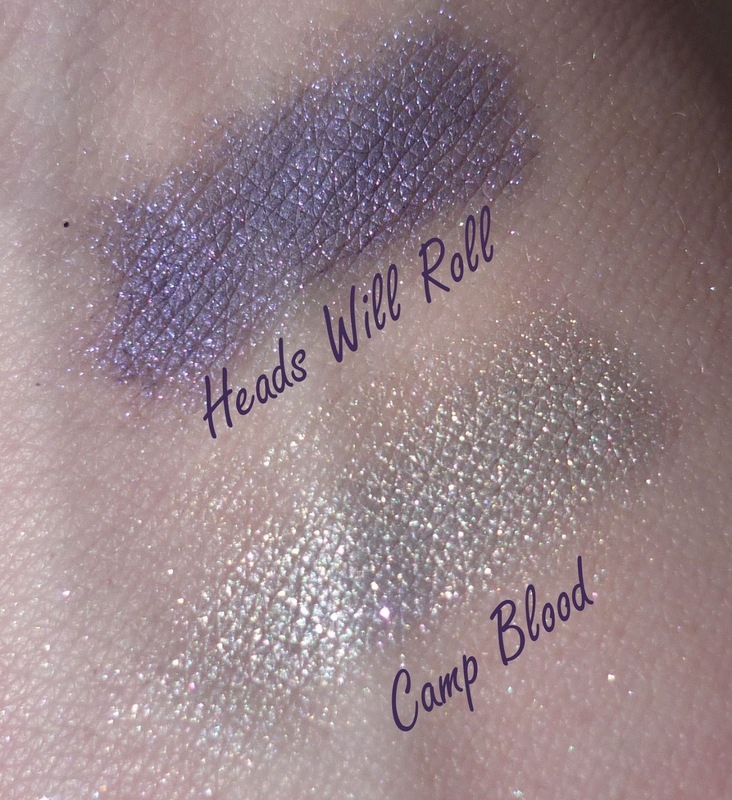 I particularly love Heads will Roll - which isn't really surprising, purple shades are normally my favouriite - but its such a gorgeous shade of purple with a super pretty pink sparkle. 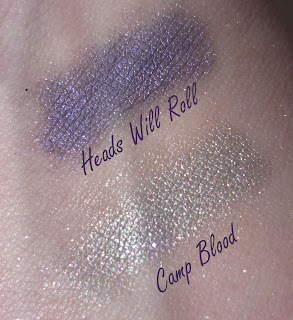 I really liked Camp Blood too, it is a bit more pink tinged than it looks here. It definitely makes me excited to see what else Darling Girl has in store for Halloween! I've split this post into two parts due to the amount of pictures and the fact that I wanted to get the Halloween shades up asap, but above I've shown the first batch of swatches. These are: Love in a Void, Impervious, My Little Pony, Camp Blood, Heads will Roll. All swatches are over Pixie Epoxy. The shades are so sparkly! I ended up with sparkles everywhere lol, however this was due to the way I was applying them, once they were on the pixie epoxy I didn't notice much fallout.